it&apos;s a nice budget phone in under 10k segment with stock android and regular android update it has a great camera and under10k segment so it would be good buy if your budget is under 10k. 7 Pricebaba users have written their experience with Motorola E5 Plus. If you own Motorola E5 Plus, please do leave your feedback too. 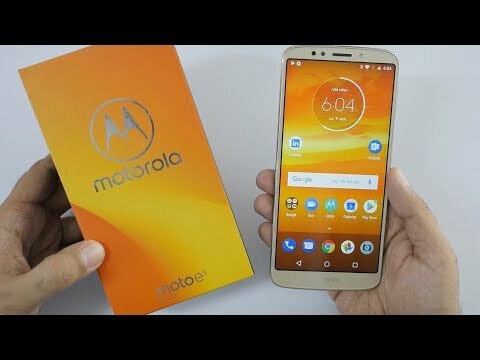 Lowest price of Motorola E5 Plus price in India starts at Rs. 7,795 Motorola E5 Plus is available on Flipkart at Rs. 7,999 and on Amazon at Rs. 8,099. Prices updated on 21st April 2019. Boasting a big screen, better battery performance, and enhanced entertainment quality, Moto E5 Plus features a slim design and impressive display. Here’s a glimpse at the specification of the phone. The Moto E5 Plus comes with a 6-inch 18:9 max vision IPS LCD screen and 1440 x 720 pixel resolution. Its split screen function gives additional convenience to multitask. The 12 MP rear camera, with f2.0 aperture and 1.25 μm pixels uses laser auto-focus technology to capture beautiful and appealing pictures. The 5 MP front camera is equipped with selfie flash that offers decent lighting while clicking pictures in daylight or nighttime. A 1.4 GHz Octa-Core Qualcomm Snapdragon 430 processor paired with a 3 GB RAM gives Moto E5 Plus faster performance and better multitasking qualities. The internal memory is 32 GB which can be expanded up to 128 GB. Powered by a 5,000 mAh non-removable battery, Moto E5 Plus has 10 W rapid charging and 18-hour video playback. The phone supports 4G, 3G, 2G, Bluetooth, WiFi, GPS, GSM, WCDMA, and dual sim connectivity. Moto E5 Plus has Android Oreo 8.0 pre-installed in it, which enables better multitasking and faster performance.